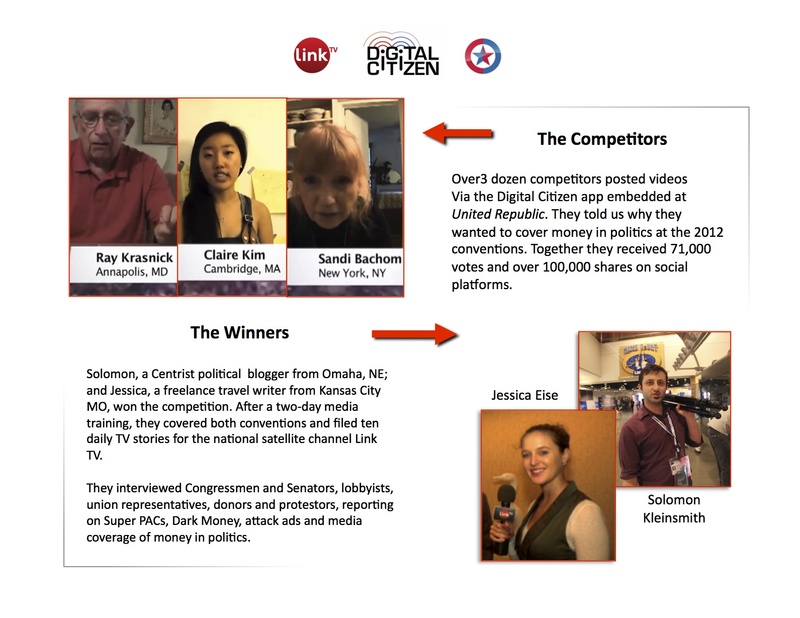 Digital Citizen connects people using social and mobile media to television programs and public forums. 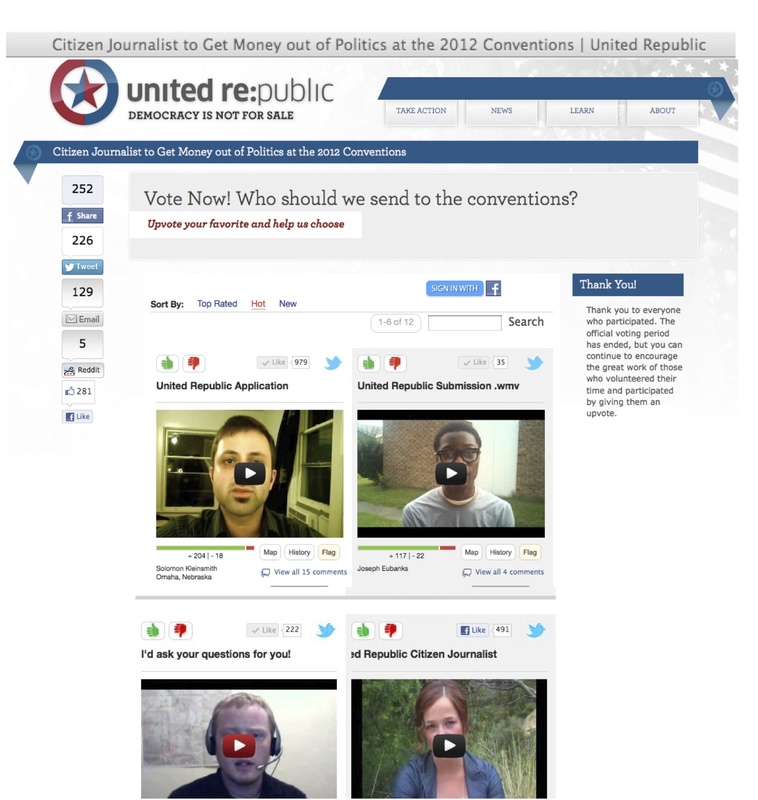 The Digital Citizen app helps communities surface representative voices, and gives emerging leaders a powerful way to connect with the public and the media. 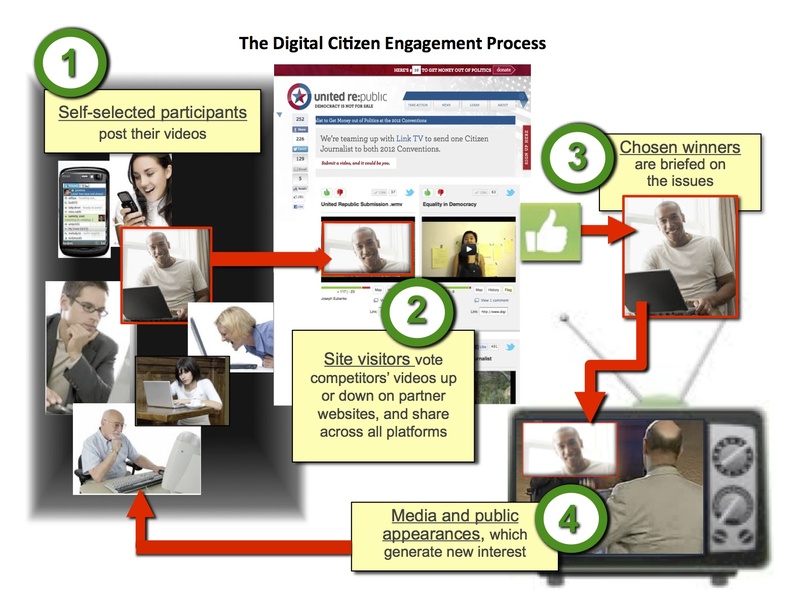 Here is how we used Digital Citizen in the 2012 Presidential Campaign. See videos of the TV series here, and of the competitors in the post below.